We just had our home thoroughly cleaned after our estate sale and move out. Hopefully a perspective buyer will appreciate the beautiful cleaning job. It is move in ready and perfect!!! Definitely recommend Crystal Bright Cleaning. I had an experience with Crystal Bright company couple times. They did very good job. My condos have been cleaned for couple houres. The quality of cleaning was very high and the price is not a huge. Their employers were reliable and did all job carefull. Strongly reccomend this company. Alla cleans my house and I am very happy with her work. She is very thorough and leaves the house spotless. I highly recommend Crystal Bright to any one looking for a great cleaning service. I took advantage of the Angie’s List whole-house cleaning today. Your workers Anna and Julia worked like slaves all morning–showed up early and worked over time. They worked very hard cleaning a house that needed it BADLY. My house has many Venetian blinds that had never been cleaned, so they had their work cut out for them! They did a great job, did exactly what I asked, and were cheerful and professional. Entire house cleaned. I needed it to be sparkling clean, getting ready for my company boss to come over for the evening dinner. The service provider arrived right on time, all prepared and fully equipped for all of the possible cleaning needs. They were very professional. Did not bump into any furniture with their cleaning equipment, were very attentive to every small detail and did not bother me with any small talk “chit chat”, instead concentrating on the work being done. I was left very happy with the result of their work and the professionalism of the cleaning crew. I most absolutely shall use them again and do recommend their service most wholeheartedly. We have had Crystal Bright Cleaning Service for over 10 years and we are very satisfied. They are very reliable, do a very good cleaning job to a very reasonable price. We don’t heistate to recommend them. I had Inga clean my house today. She did a good job and was fast. Since this is the first time I am using your services and first time Inga was cleaning the house, I wanted to make sure I passed on these points, so I don’t forget the next time. Lift mat under stairwell and dust/mop on hardwood. Mopped around it. 1. Study/Den french doors was not cleaned. I am not sure if other doors were cleaned or not, but I could see that this was not as it had fingerprints. 3. My dining chairs are upholstered and there were not wiped down along with the rest of the furniture. 4. I need the mat under stairwell to be moved and the hardwood floors beneath dusted and mopped. It was mopped around the mat but not underneath. Overall I am satisfied and have no hesitation in scheduling monthly cleaning services from you guys if the above items are also taken care of. The crew did an AMAZING job cleaning my home. They worked very hard, no breaks and were always so nice and polite. The home looks fantastic and I could not be happier! Can’t wait to get scheduled for monthly service. Thank you very much!!! I looove my clean house! Always a great job! This makes my life so much easier. I appreciate that the same people work on the house each time. I look forward to how the couch looks after the cleaning… I like seeing the vacuum marks on the back of the couch. Plus keeping the fridge looking great is something I didn’t expect. So thorough. We have been using Crystal Bright Cleaning for about a year now. We have always been extremely satisfied with the exceptional job they always do. Alex and Irena and two of the nicest people and always go above and beyond with their cleaning. They keep our home so wonderfully clean and we thank them for that. Your company indeed provides comprehensive cleaning services. I’m totally satisfied with your service. Thanks for using eco-friendly products. We recently moved to a new place and were looking for a good cleaning service at an affordable price. Our new neighbours recommended us Crystal Bright Cleaning Service. And I must admit that we are satisfied with the services provided by this company. The services are really tailored to our needs and what I like the most they were completed within time frame. What a great service! The two women showed up on time and followed my additional instructions. Every detail was paid attention to (my bathroom looks cleaner than ever before, all mirrors sparkle and shine, all the nooks and crannies are thoroughly vacuumed). Thank you for helping me out. Now my apartment is ready for my birthday party. It’s amazing how your cleaning stuff coped with all the mess in my home. I thought it was impossible. I liked their work, because they were very accurate and polite. We have 3 children and you can imagine, what a mess is in nurseries. These workers put all toys on previous places, they had tucked in beds, and everything took 4 hours! By the way, they speak English good, so it’s easy to communicate with them! I had learned about this company with mailer. I had left my order on the site and the next day their head came to my home to estimate the volume of work. The estimate was free, and the price for the work was assigned lower than in the other services. I was expecting guests soon, so I need a cleaning in two unoccupied rooms and bath. You can imagine that there was dust on the luminaires, cobwebs on the ceiling and old stains in vanne. I tried to remove these stains already, but with no noticeable effect. But an employee of the company to use special tools, and the bath became as the new one. Overall, I was pleased. And again, I have agreed to regular cleanings, because the third cleaning will be free! We recently moved to another house, there was an old carpet, stained and very dusty. We had applied to this company, finding advertising at the house. To us came one nice guy, very polite and attentive, and wash the carpet. The result is obvious, he removed all stains, raised pile. The house had smelled fresh and clean. We have been a customer of Crystal Bright Cleaning Service over the past four years. They are efficient, thorough, and on time in their work. Our family is totally satisfied with all the services provided by this cleaning company. They are very fair in their pricing. I want to thank you for your help and personal approach. Your cleaning stuff impress me each and every time they clean my apartment. I’m totally satisfied with the service provided by Crystal Bright cleaning company. Their prices are really affordable. They are very helpful in cleaning the house. We did not hope to wash everything after repair. Their experts have coped with everything perfectly. These people are truly dedicated. The friendly, accurate, highly skilled workers do not cease to surprise us for a whole year! Finding fast, friendly, efficient, and reasonably priced cleaning company was near impossible. But 2 years ago we found Crystal Bright Cleaning Service! 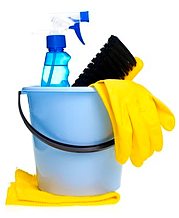 They are able to take care of any special cleaning needs providing us with affordable cleaning solution. Crystal Bright Cleaning stuff are very friendly and pleasant people to be around. We are happy to be their regular customer. I had a great pleasure to deal with this company! Everything was done on time and qualitatively. Crystal Bright Cleaning Service has been cleaning my home for years and the quality of their work is consistent. Whenever I need something extra done, they are more than happy to help me. If I had to estimate their service, I would give them 5 stars. I highly recommend Crystal Bright Cleaning company to anyone who is looking for a clean and fresh house! I’d like to write my positive reference about “Crystal Bright Cleaning Service” (from Renton WA). I want to say, that employees of this company had performed all their tasks and duties perfectly and on-time. They are very frienly, smarty and fast, very helpful in cleaning the house. We did not hope to wash everything after repair. Their experts have coped with everything perfectly. Estimates are free, and prices are moderate! Thank you for the perfect job you did. I will strongly recommend Crystal Bright Cleaning Service to those who are looking for a highly professional and thorough cleaning service. Years after years I have nothing but good things to say about this cleaning company. They provide quality services at reasonable rates. What I like the most is that they use environmentally friendly cleaning products. Crystal Bright Cleaning Service is the most suitable company for me, because it present work schedule, that is convenient for me and my family.